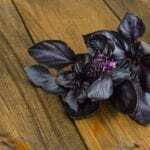 The “chef’s best friend” or at the very least an essential herb in French cuisine, French tarragon plants (Artemisia dracunculus ‘Sativa’) are sinfully aromatic with a scent redolent of sweet anise and flavor akin to that of licorice. The plants grow to a height of 24 to 36 inches and spread across 12 to 15 inches apart. Growing French tarragon plants will flourish when planted in dry, well-aerated soils with a neutral pH of 6.5 to 7.5, although the herbs will do well in a slightly more acidic medium as well. Prior to planting French tarragon herbs, prepare the soil by mixing in 1 to 2 inches of well-composted organics or ½ tablespoon of an all-purpose fertilizer (16-16-8) per square foot. Adding organic matter not only feeds the French tarragon plants but will also aid in aerating the soil and improve water drainage. Work the organic nutrients or fertilizer into the top 6 to 8 inches of the soil. As mentioned, French tarragon is propagated vegetatively via stem cuttings or root division. The reason for this is that French tarragon herbs rarely flower, and thus, have limited seed production. When propagating from root division, French tarragon plant care is required lest you damage the delicate roots. Use a knife instead of a hoe or shovel to gently separate roots and collect the new herb plant. Divide the herb in spring just as the new shoots are breaking ground. You should be able to collect three to five new transplants from the parent French tarragon plant. Propagation may also occur by taking cuttings from young stems early in the morning. Cut a 4- to 8-inch amount of stem from just below a node and then remove the lower one-third of the leaves. Dip the cut end into rooting hormone and then plant in warm, moist potting soil. Keep the new baby herb consistently misted. Once the roots form on your new tarragon plant, it may be transplanted into the garden in the spring after the danger of frost has passed. Plant the new French tarragon plants 24 inches apart. Either way you are propagating French tarragon, the plants prefer full sun exposure and warm but not hot temps. Temperatures over 90 F. (32 C.) may require coverage or partial shading of the herb. French tarragon plants may be grown as either annuals or perennials, depending on your climate and are winter hardy to USDA zone 4. If you are growing French tarragon in a chillier clime, cover the plant with a light mulch during the winter months. Growing French tarragon plants don’t tolerate wet or overly saturated soil conditions, so watch out for over-watering or situating in locations known for standing water. Water about once a week and allow the soil to dry between watering. Mulch around the base of the plant to keep the moisture near the surface of your herb and to discourage root rot, otherwise French tarragon is fairly disease and pest resistant. There is very little need to fertilize French tarragon, and as with most herbs, French tarragon’s flavor only intensifies in nutrient deficient soils. Just fertilize at the time of planting and then let it go. French tarragon may be pruned and pinched to maintain its shape. Divide the plants in the spring to retain the health of the herb and replant every two to three years. Once established, prepare to enjoy French tarragon fresh or dry in everything to fish recipes, egg dishes, and butter compounds or even to flavor vinegars. Bon Appétit! Soil, Fixes & FertilizersIron For Plants: Why Do Plants Need Iron? 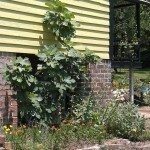 Fig TreesEspalier Of Fig Trees: Can You Espalier A Fig Tree? Read more articles about Tarragon.